NestFresh has a network of family farms stretching across the United States, which benefits farmers, communities, the environment, and egg lovers like you! This helps us give you the all-natural farm fresh taste you love, with none of the stuff you don't. It also allows us to provide jobs within local communities, support local businesses and reduce our impact on the environment. Our farmers give their hens the healthy, humane lives they deserve so we can offer the most sustainably raised eggs for healthy humans. Q: Does Prop 2 affect NestFresh? Even our news is free-range! Enter your email in the box below and let our latest, egg-citing news wander its way into your inbox. Happy hens and healthy humans; a humane and sustainable farming mission. Eggs are one of the best ways to add high-quality protein to your diet and NestFresh believes those eggs should be all-natural and humanely raised. 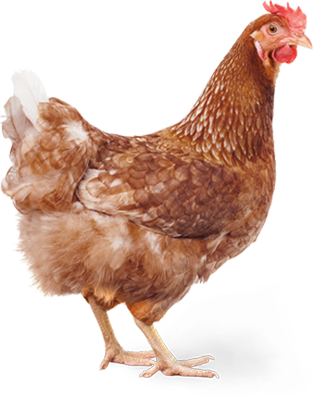 For this reason, our hens are fed hormone and antibiotic free, vegetarian feed. For our free range and pasture raised hens, this feed complements the grass and bugs they forage for in their sunny, free-range pastures. Our family farmers also provide our hens room to roam in spacious barns. We believe these practices help make our hens as happy as they can be, so they can provide the healthiest eggs for you. 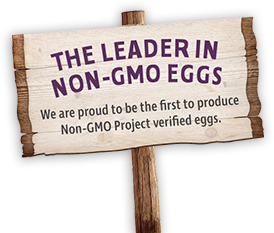 If you’re looking for a healthier alternative to regular eggs, Nestfresh has the best Non-GMO, USDA Organic, Certified Cage Free, and Pasture Raised local eggs available. Find out where you can buy NestFresh Eggs near you, or contact us for more information on our custom wholesale egg products and programs for foodservice and manufacturing.